Hovima Club Atlantis is a perfect place to stay for couples and friends. It is just a stone throw away from Puerto Colon and the beach – allowing you to enjoy the sun, sand and the sea. The hotel comprises of a large outdoor swimming pool, where you can dive in and have a refreshing swim. The rooms in the hotel are bright, welcoming and cosy, which will make you feel special. Guests do not need to step out of the hotel to enjoy local or international cuisine – thanks to the airy restaurant located within the hotel’s premises. Other than this, there is a pool bar and an in-house bar, where the guests can have refreshing drinks and snacks. 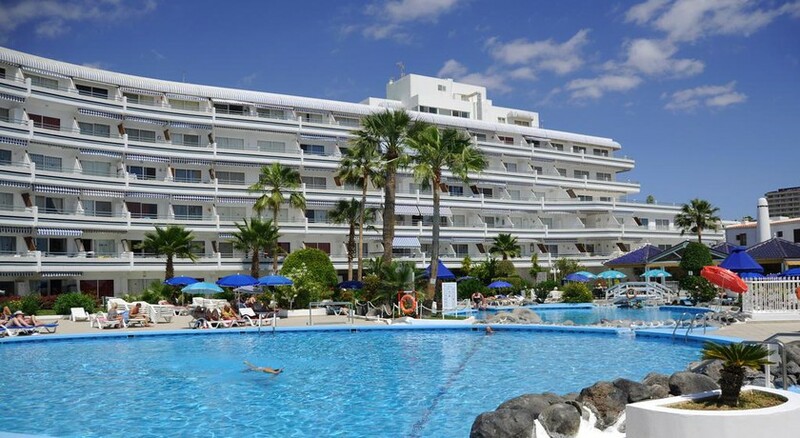 Hovima Club Atlantis is conveniently situated in Playa de la Américas, Santa Cruz de Tenerife, Spain. You just need to take a few steps to reach the beach, which is surely some good news for beach lovers. The Tenerife South Airport is only 16.9km from the hotel, making it convenient for the beach lovers and water sport enthusiasts alike. Those who want to satisfy their luxury shopping needs can pay a visit to the Siam Mall, which is only 2.2km. The rooms in the hotel are absolutely stunning, matching guest requirements and needs. They are categorized as Studio, One-Bedroom Apartment and Two-Bedroom Apartment. 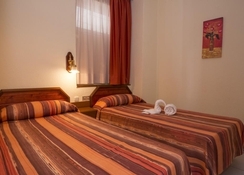 They come with all the necessary amenities, which include satellite TV, safe with charge, hair dryer, bath tub, safe, Wi-Fi, laundry service, towel service and much more. When it comes to gastronomy the hotel is one of the best in the region. There is a large buffet restaurant, where guests can have breakfast, lunch and dinner. It offers numerous Spanish and international delicacies, which will excite every foodie. In addition, there is a snack bar, where guests can have refreshing drinks and snacks by the pool. Or make yourself comfortable in your room by taking advantage of the in-room service provided by the hotel. There are ample sport and entertainment facilities in and around the hotel to keep you engaged throughout your stay. The lovely outdoor swimming pools in the hotel are the best place to have endless fun in the sun. Take advantage of the car rental or the bike rental service provided by the hotel to explore the area at your own pace.